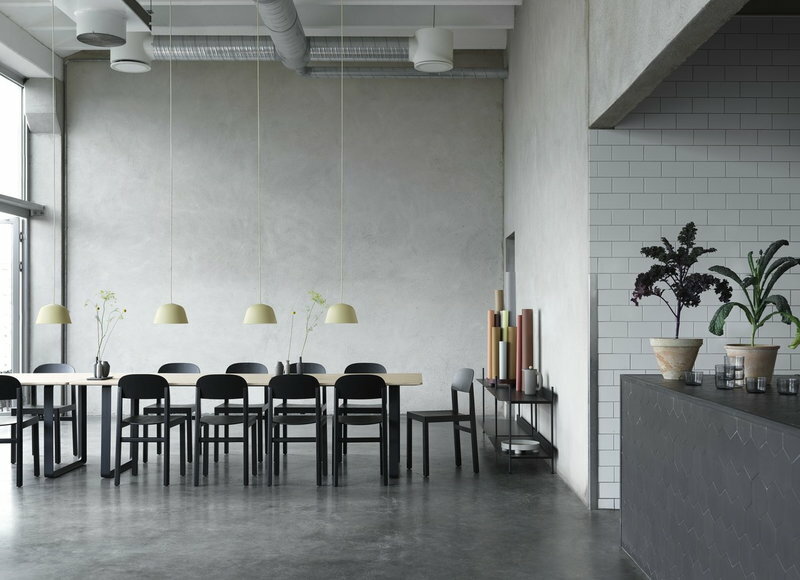 Designed by TAF Studio for Muuto, the 70/70 table has an almost anonymous expression with beautiful detailing. 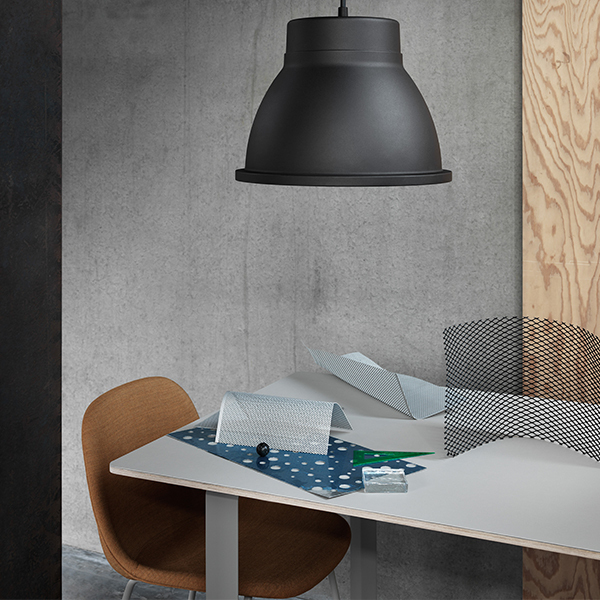 The table is based upon two cast aluminium squared frames with the dimension of 70 x 70 centimetres, hence the name 70/70. 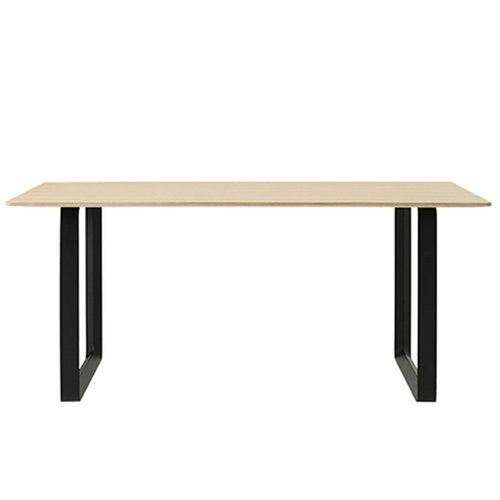 The table top is made of plywood. 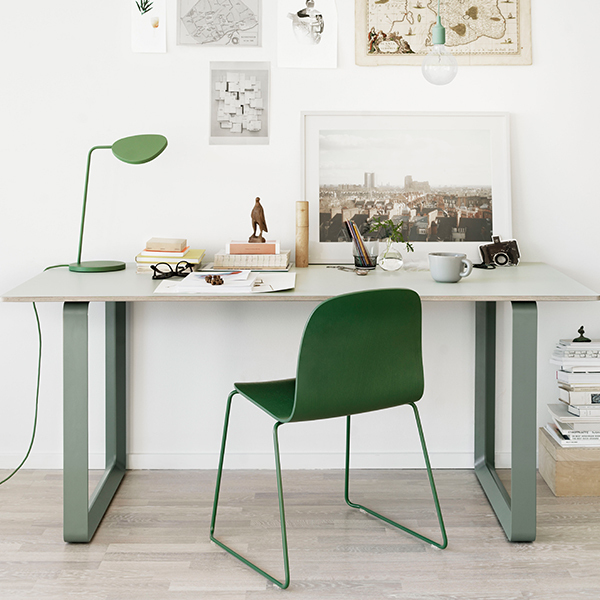 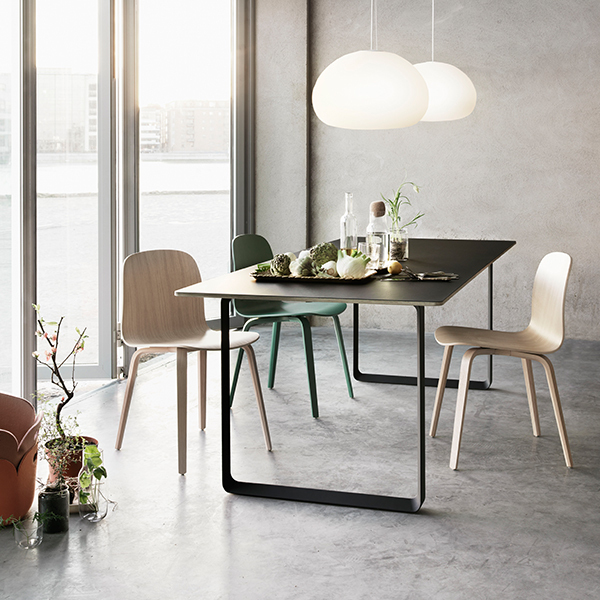 The Scandinavian aesthetics can be seen in the airy, simple form of the table and in the plywood details. 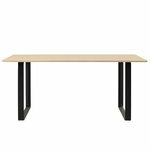 The 70/70 table is multifunctional, and it is perfect as a dining table or as an office table.